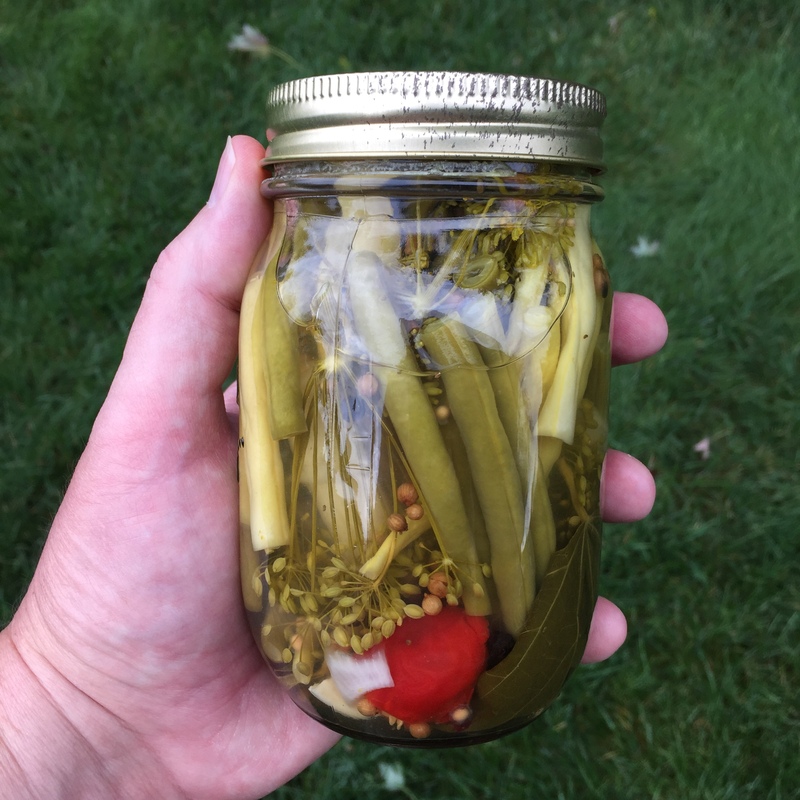 This is my kicked-up version of the classic “Dilly Beans.” The brine recipe is exactly the same time-tested family heirloom recipe as the one I use for my Garlic Dill Pickles. After sealing, be sure to leave them untouched in a cool, dark storage area for at least two months before opening so the flavors have time to set. They will keep for at least one to two years if the seal is undamaged. Once opened, store in your fridge for up to six months. The natural tannins in the grape leaves will keep them super-crisp. These spicy beans are amazing in my handcrafted Bloody Mary. Enjoy! 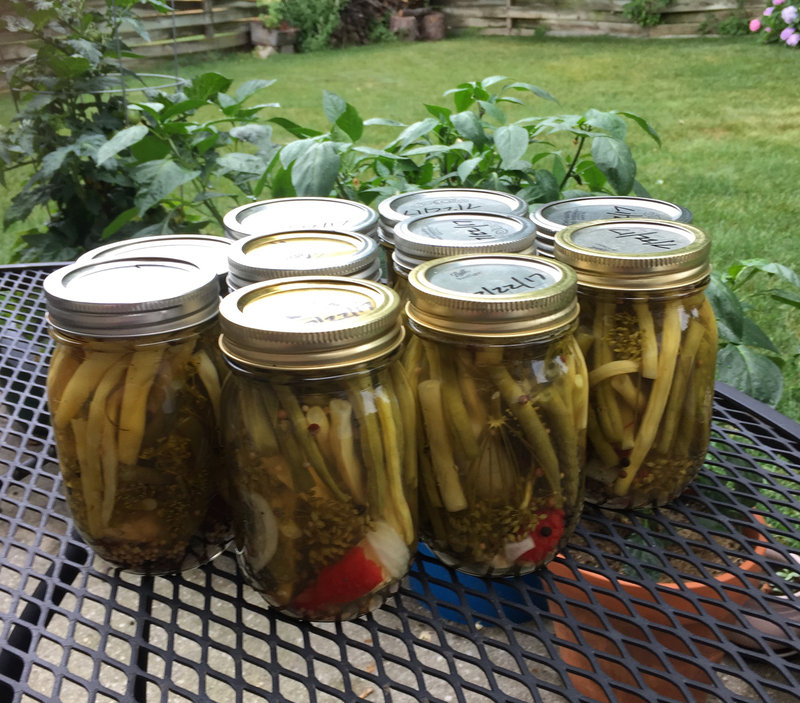 The brine measurements indicated above will made about 5 pints of pickled beans, depending on volume packed in each jar. For the amount indicated, you will need to make a double-batch for 10 pints. Prepare your ingredients and brine solution prior to final assembly so you have everything ready and at hand. Wash the glass jars, rings and new lids in hot soapy water. Rinse thoroughly. In a medium sauce pan, bring a quart of water to a rolling boil and then reduce to a simmer. Add the jar rings and lids. Sterilize for two minutes. Turn off heat. In a large, non-reactive 6-quart soup pot, add 1 quart of 5% distilled vinegar and 3 quarts of filtered water. Bring to a rolling boil and add the canning salt and alum. Stir well and simmer for five minutes, stirring occasionally, until the salt is dissolved. Remove from heat and set aside. Wash and scrub the green and yellow beans in cold water. Trim 1/8″ off of each end. Cut the larger ones in half so they fit in the pint jars. First, add the grape leaf, onion, crushed garlic, habanero (optional) and dill to each jar. Add the dry spices. Pack the beans tightly in the jar until filled up to the neck of the opening, leaving about 1/2″ headroom. Stuff any voids with more onion. Top off with dill. Wipe the jar rim with a clean damp cloth. Fill carefully with brine 1/2″ to the rim. Gently tap jar to ensure any air pockets are removed. Center jar lid and screw down ring until only finger-tight, taking care to ensure that nothing blocks the contact point of the jar rim and lid. Process in hot water bath according to directions (10 minutes rolling boil for pints) Water bath should reach the very top of the jar neck. Remove immediately with jar tongs and set aside on a towel until cool; about 6 hours. After ten minutes or so, the lid should pop down, forming a vacuum seal. When fully cool, inspect lids and ensure there is no play in the center of the lid. If the lid pops or moves when pushed it is NOT sealed. Refrigerate any unsealed jars for future use. They will keep for up to six months chilled. Maintain a 10 minute rolling boil for pints, per directions. Cut the tips off of the beans to avoid softening. There is an enzyme in the blossom end of the bean that must be removed by trimming. You only need to trim 1/8″. Select only the freshest beans. Support your local farmer’s market if you cannot grow them yourself. Ensure air pockets are removed from jars before sealing with lids by tapping the jar lightly on the counter. Lids must be sterilized in boiling water for at least two minutes. Do not touch the contact seal on lids after sterilization. Use a magnetic lifter wand to handle lids and jar rings when removing from hot water. Coriander seed, bay leaves (crumbled), mustard seed, dill seed and peppercorns may be added as a home prepared pickling spice. DO NOT USE commercially prepared pickling spice as it may contain cinnamon or cloves. True “Kosher-style” brine ingredients do not have these two spices. 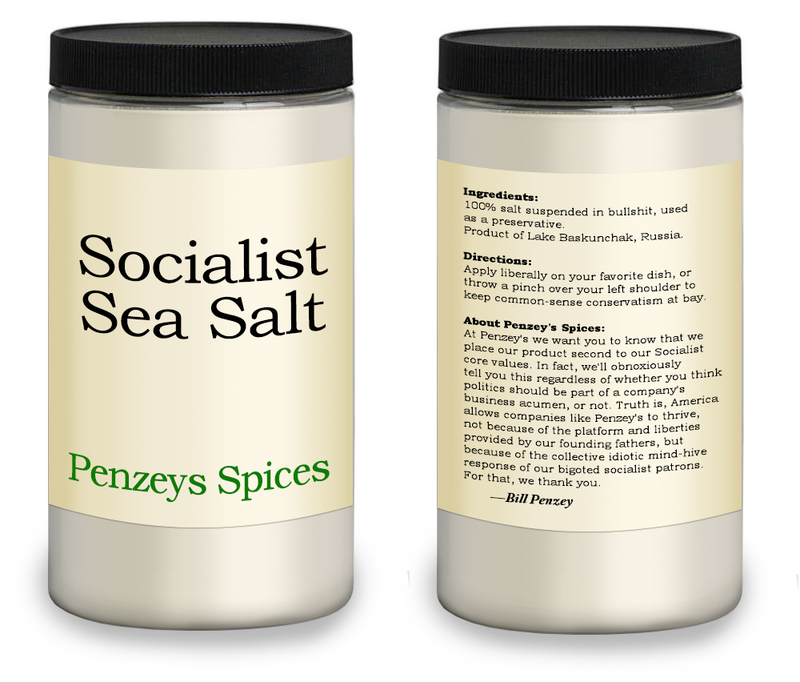 Use only pickling salt! Do not use regular table salt or kosher salt. Measure carefully according to directions based on volume. If you notice a dark, cloudy discoloration in the brine, or your beans have an odd smell on opening, DO NOT USE. Dispose of the contents without tasting. Food poisoning isn’t worth the risk. Lids may only be used ONCE. Rings may be used every season, provided they are not rusty. Inspect glass jars for chips or cracks and discard if necessary. Glass jars may also be reused indefinitely. NEVER set a hot glass jar that was just processed in boiling water on a cold counter. It will crack or explode. Always place on a thick dish towel or oven hot pad and allow to fully cool before handling. Have fun and don’t burn yourself! The final product, after topping with shredded hard Parmesan cheese. 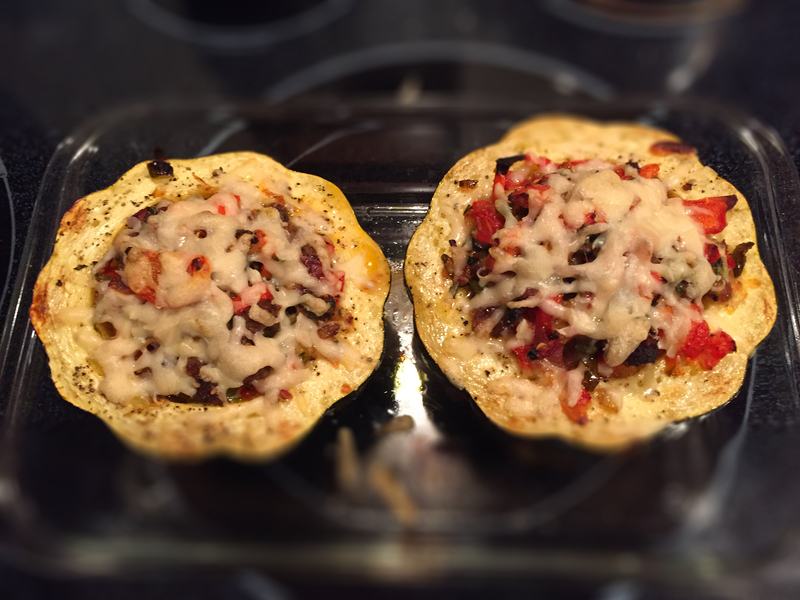 This is a recipe based on one from an Italian friend who uses halved zucchini. 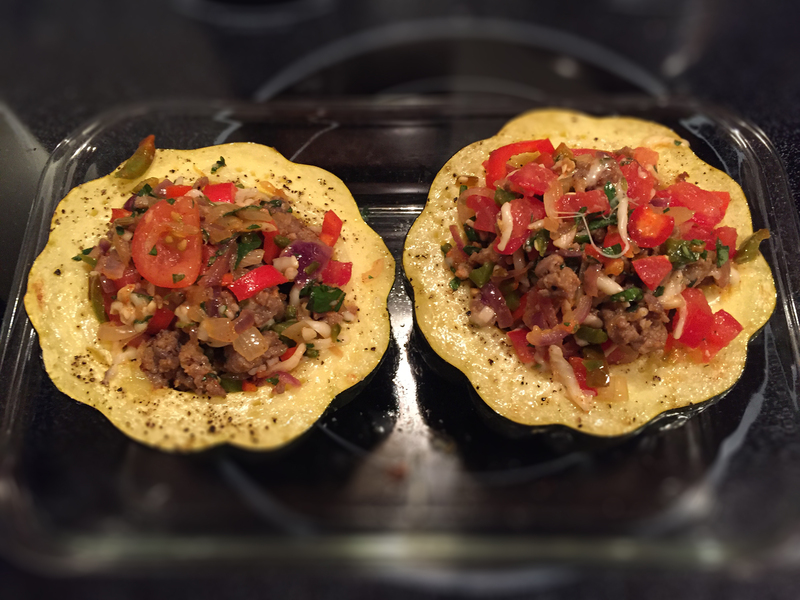 After receiving verbal instructions on the preparation, I winged it with an acorn squash I had on hand. Precook the squash in the oven before stuffing it with the sausage and vegetables to ensure it is fork-tender and mellow. It takes time to set up, but you’ll be impressed by the result. This is an amazing mid-summer garden recipe your whole family will enjoy. Preheat oven to 400°-F. Cut and prep all ingredients so you have them on hand and ready to go. Wash and pat dry the squash. Using a very sharp chef’s knife and a steady hand, carefully slice the squash in half around the middle, perpendicular to the stem. Use EXTREME CAUTION so you don’t slip and cut yourself. The flesh and outer rind are very tough. Remove the seeds and membrane with a soup spoon. Cut a narrow section off of the base of each half so they sit flat. Place in a medium-sized shallow baking dish with the cupped interior facing up. Brush with 2 tbs. olive oil and season lightly with Kosher salt and black pepper. Bake uncovered in the oven for 15 minutes. While the squash halves are baking, fry up the Italian sausage over medium heat in a heavy cast-iron skillet, breaking it apart as it browns with a spatula. Drain off the fat. Add the chopped onion. Stir until just translucent, about 7 minutes. Salt and pepper to taste. Add 1 tsp. garlic granules. Add the cayenne pepper. 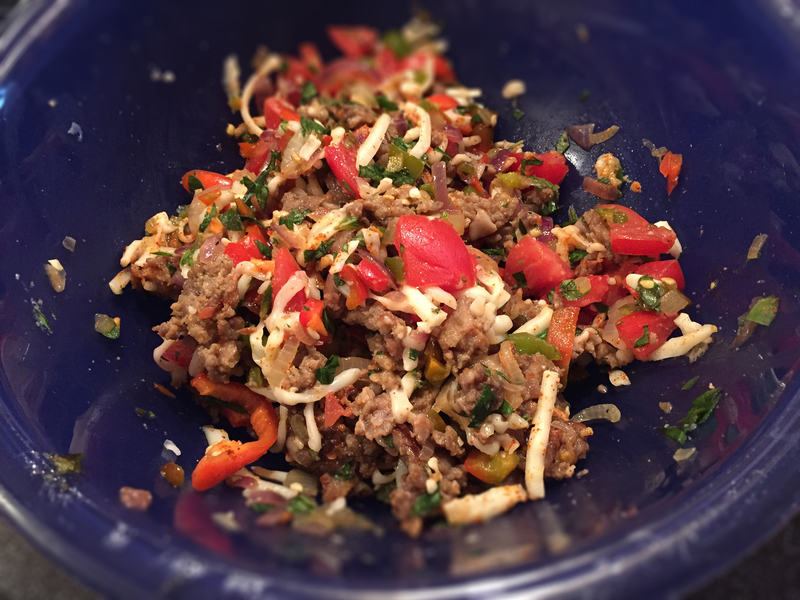 Add the diced bell and Hungarian pepper. Continue stirring until slightly softened. Remove and transfer to a mixing bowl. Add the diced tomatoes, basil, oregano and Mozzarella cheese. Fold in lightly to combine. Reduce oven temperature to 375°-F. Using thick oven mitts, carefully remove the baking tray from the oven. Spoon in the mixture, dividing between the two squash halves. Place the baking dish back in the oven and bake uncovered for an additional 30 minutes at 375°-F. Remove again and carefully top each half with the shredded Parmesan cheese. Bake again uncovered for ten minutes, until the cheese has melted. Remove, let stand for ten minutes and serve. NOTE: When perfectly done, the texture of the squash should not be mushy or soupy. It should easily peel away from the outer rind with a spoon, but still have some firmness. 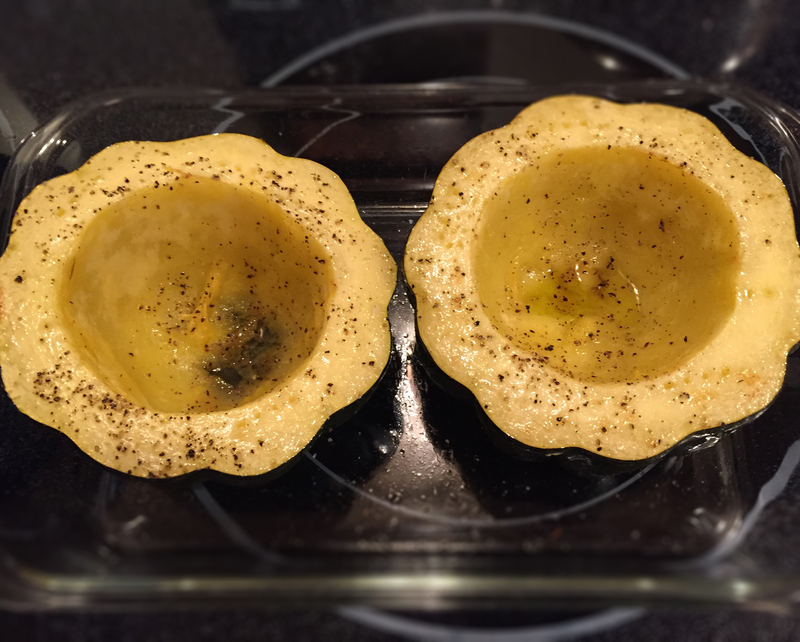 Pre-baking the squash at 400°-F with a little olive oil, salt and pepper. Preparing the Italian sausage mixture in a mixing bowl. The sausage mixture after roasting in the squash for one-half hour at 375°-F.
Classic garlic dill pickles in vintage canning jars that are over 70 years old. This is a classic recipe graciously given to me by my aunt; passed down through three generations on her side of the family. I haven’t canned in 15 years and decided to take it up again. It’s a fair amount of work but a lot of fun. If you, like I, don’t have room for a cucumber patch in your garden, support your local farmer’s market. The selection I purchased this year was quite good despite very cold and wet growing conditions in June. My aunt’s recipe was labeled as “kosher pickles” but this is a misnomer. True Jewish kosher-style deli pickles are not brined in vinegar and are always fermented and then chilled for several weeks. They are never hot-canned. After sealing, be sure to leave them untouched in a cool, dark storage area for at least two months before opening so the flavors have time to set. They will keep for at least one to two years if the seal is undamaged. Once opened, store in your fridge for up to six months. These make fantastic gifts and my hot pepper pints are a welcome treat in the middle of winter. Enjoy! 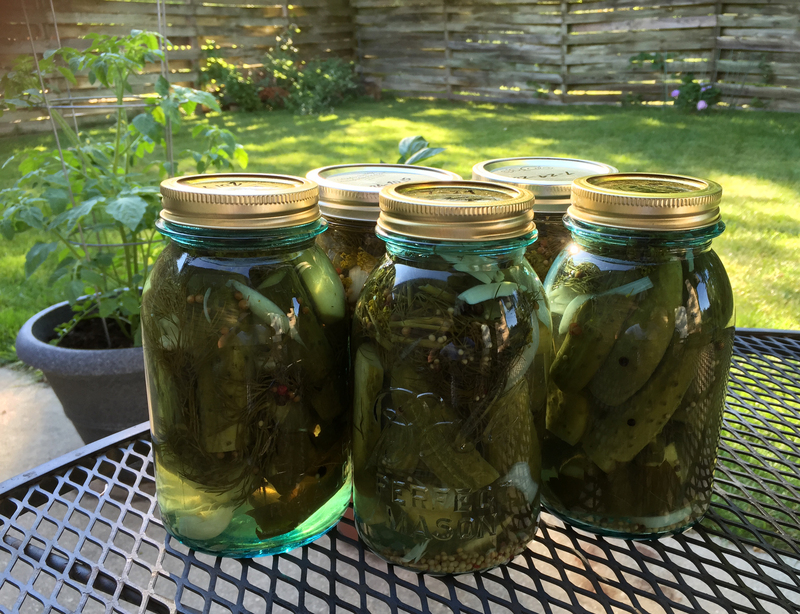 The brine measurements indicated above will made about 5 quarts of pickles, depending on volume packed in each jar. Wash and scrub the cucumbers in cold water. Trim 1/8″ off of each end. Slice, chunk, or leave whole based on your preference. Add the grape leaf, onion, crushed garlic, and dill to each jar. Add the dry spices. Pack the cukes tightly in the jar until filled up to the neck of the opening, leaving about 1″ headroom. Stuff any voids with more onion. Top off with dill. Wipe the jar rim with a clean damp cloth. Fill carefully with brine 1/2″ to the rim. Gently tap jar to ensure any air pockets are removed. Center jar lid and screw down ring until only finger-tight, taking care to ensure that nothing blocks the contact point of the jar rim and lid. Process in hot water bath according to directions (10 minutes rolling boil for pints; 15 minutes for quarts.) Water bath should reach the very top of the jar neck. Remove immediately with jar tongs and set aside on a towel until cool; about 8-12 hours. After ten minutes or so, the lid should pop down, forming a vacuum seal. When fully cool, inspect lids and ensure there is no play in the center of the lid. If the lid pops or moves when pushed it is NOT sealed. Refrigerate any unsealed jars for future use. They will keep for up to six months chilled. 15 minute boil for quart jars; 10 minutes for pints, per directions. Cut the tips off of each cucumber to avoid softening. There is an enzyme in the blossom end of the cucumber that must be removed by trimming. You only need to trim 1/8″. Use small, bumpy cukes for best flavor. 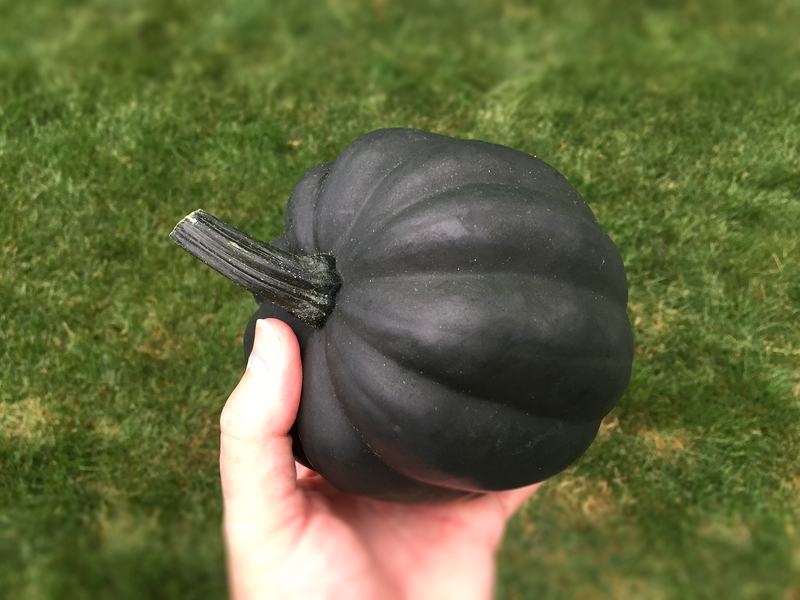 Avoid larger ones with yellowing – they are overripe. Coriander seed, bay leaves (crumbled), mustard seed, dill seed and peppercorns may be added as a home prepared pickling spice. DO NOT USE commercially prepared pickling spice as it may contain cinnamon or cloves. True “Kosher-style” pickles do not have these two spices. Kirby cukes are traditionally used for pickling. 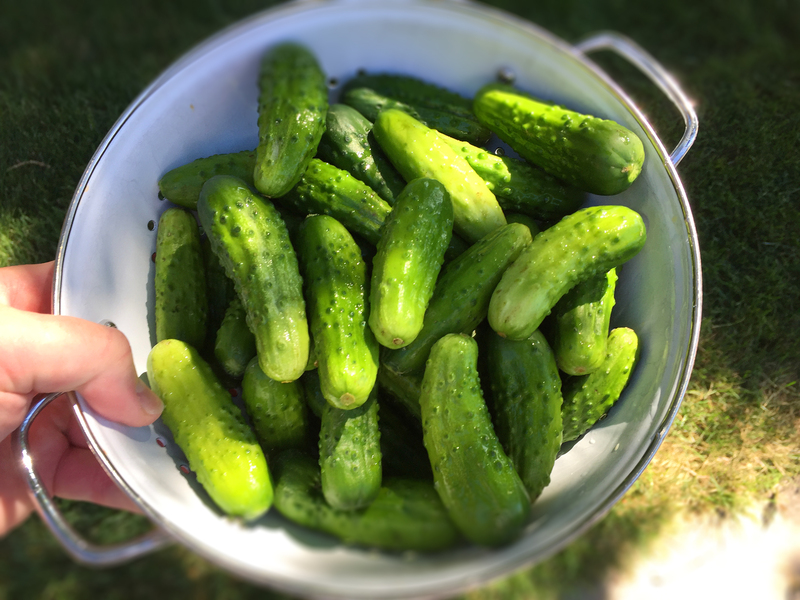 If you notice a dark, cloudy discoloration in the brine, or your pickles have an odd smell on opening, DO NOT USE. Dispose of the contents without tasting. Food poisoning isn’t worth the risk. 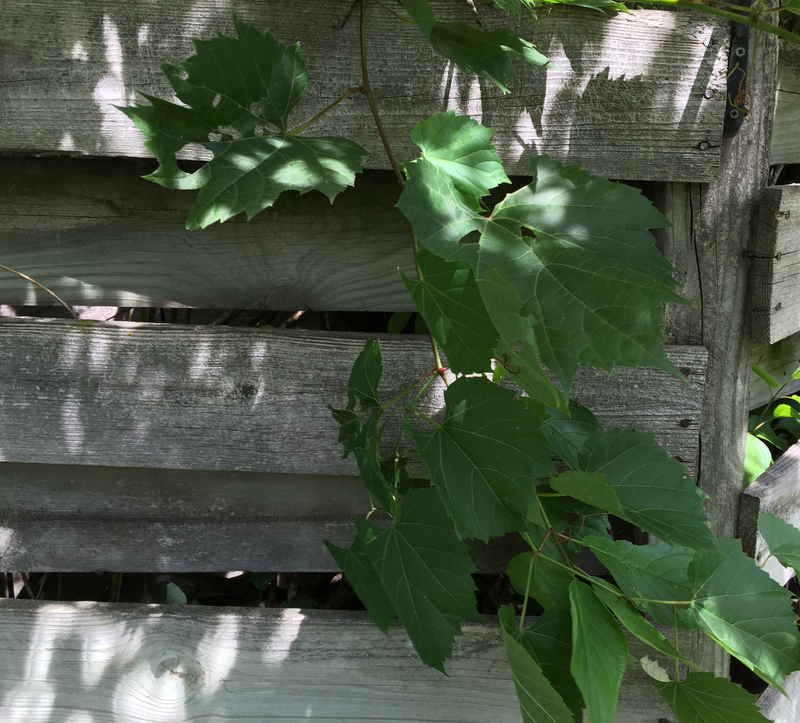 A wild grape vine growing on a fence line. The natural tannins in the leaves assure crisp pickles. I prefer the small Kirby cucumbers for pickling. They are about three inches long. They hold up better when brined, and are super-crisp. This is an old recipe found in my grandmother’s recipe box. Mix pre-brine ingredients thoroughly, bring to a boil, add the cucumbers, then remove from heat and let stand for 30 minutes. Drain, then pack cucumbers into sterile jars. Add the minced onion to each jar and fill with brine to the rim. Hot seal. THIS RECIPE DOES NOT REQUIRE A HOT WATER BATH. Scrub, rinse and slice cukes. Place in salted water overnight. Drain off salt water from cucumbers and place in kettle. Do not rinse. Add the remaining ingredients and bring to a simmer. Cook until cucumber slices are just translucent. Immediately spoon into sterilized canning jars and hot seal. THIS RECIPE DOES NOT REQUIRE A HOT WATER BATH FOR PROCESSING. Fill each jar to the top with boiling vinegar. Hot seal.